Now that I have committed to taking the CCN/M certification exam and determined what I need to study, the next step is creating a study plan. 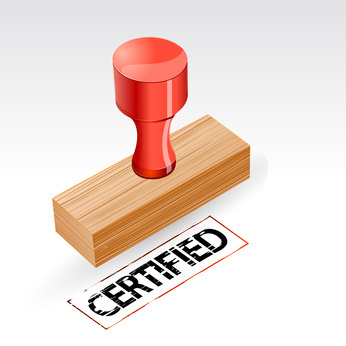 Like any project, successfully completing certification takes time and effort. The date of the exam gives me the due date for this project. Now I need to chart a course to reach that destination ready to pass the test. Having certifications in six different specialties over the course of 25 career years, I have done my share of exam prep. Here are my key strategies to prepare for exam day. I have to really want to do this to succeed. Studying is hard work; even harder when you get into my age range! If I do not have a good reason to take this exam, I will not focus on my study plan. Writing out a list of reasons why this is an important project and posting it somewhere handy can help. Here is my WHY list in eye-view from my desk top. Earlier this year I read the book 168 Hours: You Have More Time Than You Think. It helped me realize where I could more effectively use my time. Which exam study in mind, I’m looking for where I can switch out ineffective time use with study time. Everyone has 168 hours in the week. It is how we use our hours that is important. Even with 40 hours of work and 40 hours of sleep a week, there are still plenty of hours left for exam study. After an analysis of my current time use and my energy levels, I decided on 3-5pm on Monday, Tuesday, and Wednesday for my study schedule. That is 6 hours per week for the next 6 weeks (accounting for the Christmas/New Year week off for festivities). Knowing how best to absorb and retain needed information is both and art and a science. The art part comes in knowing yourself. Do you concentrate best in total quiet or do you need background music? Are you better studying in small chunks of time or to you need a concentrated block to zone-in on the information? Do you absorb information better in the morning, afternoon, or evening? By understanding your study personality, you will be more effective in the time you take to prepare for an exam. I am best in the morning and worst in the evening but I save my morning hours for writing so I am going to make the best of my exam study in the afternoon. From my writing experiences, I know I concentrate best with classical music in the background. In addition, I need to be away from my desk and computer, if at all possible, as they easily distract me. My reading chair will be my study spot. The final part of a study plan is planning for the exam day. I want to be sure I am organized and well-rested to reduce as much stress as possible. The exam starts very early on Saturday morning so I have arranged to arrive in town early the day before to be able to find my way around, locate the exam room, and plot my morning – including where to get a good breakfast. I am keeping a folder with all the exam day materials such as the entrance pass. I will be sure to pack my pencils with erasers. I will also pack comfortable clothing that is in layers so I can adjust to the room temperature. I’ll be using these strategies to prepare for exam day in Houston on Saturday, January 26, 2013. If you are also planning to be at the ACA Winter Conference, be sure to let us know by emailing essentialscorrectionalnursing@gmail.com. We’ll arrange a meet-up! Preparing for the CCHP-RN or CCN/M Certification Exams? Order your copy of Essentials of Correctional Nursing directly from the publisher. Use Promo Code AF1209 for $15 off and free shipping. This entry was posted in Certification Journey and tagged Catherine Knox, CCN/M Certification, correctional nursing, Essentials of Correctional Nursing, jail nurse, Lorry Schoenly, prison nurse. Bookmark the permalink.